Melvyn Bragg discusses paganism in the Renaissance and the return of classical pagan thought to Italy and then to the rest of Europe in the 15th century. Melvyn Bragg and guests discuss paganism in the Renaissance. For hundreds of years in the Middle Ages, the only way to read Ovid was through the prism of a Christian moralising text. Ovid's sensual tales of metamorphosis and pagan gods were presented as veiled allegories, and the famous story of Zeus descending to Danae in a shower of gold was explained as the soul receiving divine illumination. But in 1478 Botticelli finished Primavera, the first major project on a mythological theme for a thousand years, and by 1554 Titian completed a very different version of Danae - commissioned by a Cardinal, no less - where she expectantly awaits her union with Zeus in what is a nakedly sexual pose. 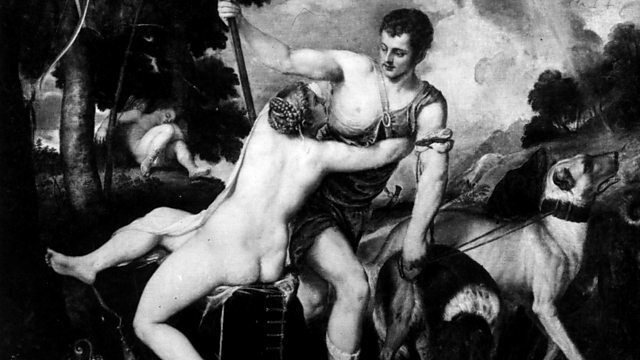 What happened to bring the myths and eroticism of antiquity back into the culture of Europe? And how was it possible for a Church that was prosecuting for heresy, to exalt in pagan imagery, even in the Vatican itself?With Tom Healy, Professor of Renaissance Studies, Birkbeck College, University of London; Charles Hope, Director of the Warburg Institute and Professor of the History of the Classical Tradition, University of London; Evelyn Welch, Professor of Renaissance Studies at Queen Mary, University of London. Browse the Renaissance era within the In Our Time archive.